Product drawing of AireGard console style laminar airflow workstation (LAFW) 6-foot (1.8-meter) nominal width model NU-340-630 with leg levelers. 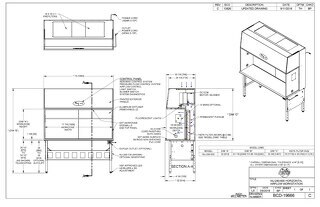 Product drawing of nominal 6-foot (1.8-meter) width AireGard model NU-340-630 Console Style Laminar Airflow Workstation (LAFW) with casters. 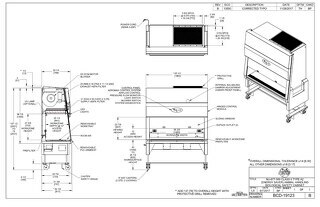 Product drawing of nominal 3-foot (0.9-meter) width AireGard models NU-340-330 and NU-340-336 Console Style Laminar Airflow Workstation (LAFW) with casters. 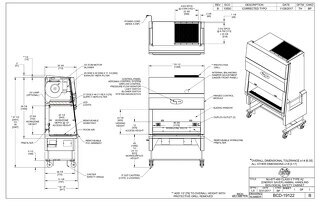 Product drawing of nominal 4-foot (1.2-meter) width AireGard models NU-340-430 and NU-340-436 Console Style Laminar Airflow Workstation (LAFW) with casters. 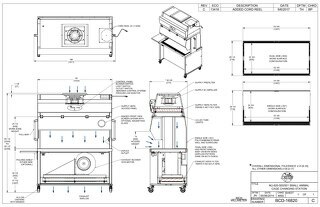 Product drawing of nominal 5-foot (1.5-meter) width AireGard models NU-340-530 and NU-340-536 Console Style Laminar Airflow Workstation (LAFW) with casters. 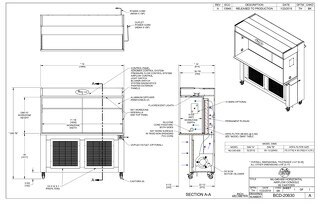 Product drawing of AireGard Bench Top Style Horizontal Laminar Airflow Workstation (LAFW) nominal width 5-foot (1.5-meter) models NU-240-530 and NU-240-536. 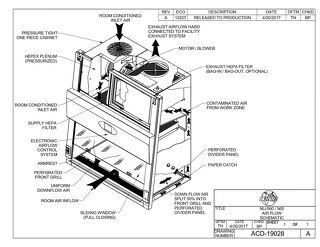 Product drawing of nominal width 3-foot (0.9-meter) AireGard Horizontal Clean Air Bench models NU-240-330 and NU-240-336. 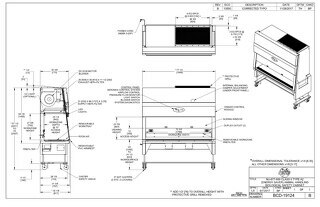 Drawing of nominal width 4-foot (1.2-meter) bench top style horizontal laminar airflow workstation (LAFW) models NU-240-430 and NU-240-436 with optional base stand. 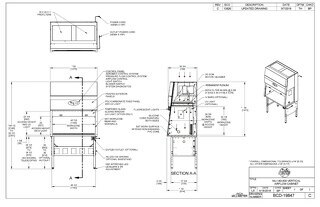 Product drawing of nominal width 6-foot (1.8-meter) AireGard bench top style horizontal clean air bench model NU-240-630. 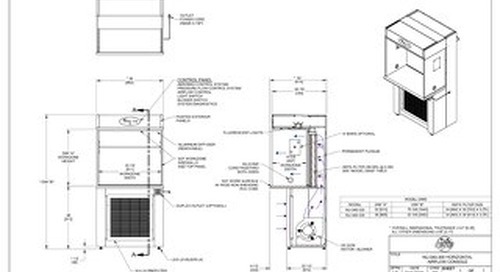 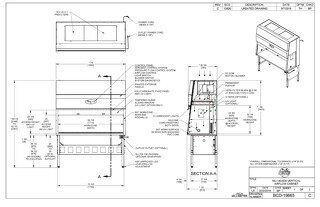 Product drawing of standard nominal width 5-foot (1.5-meter) console style laminar airflow workstation (LAFW) models NU-340-530 and NU-340-536 with leg levelers. 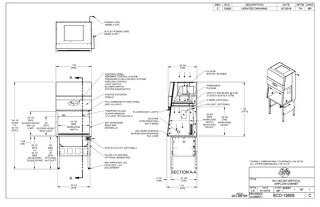 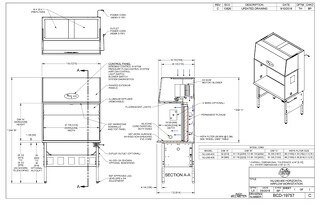 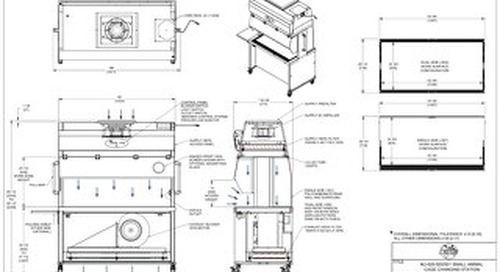 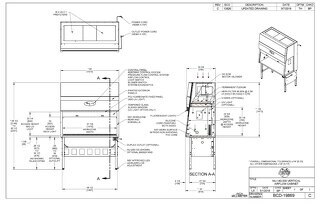 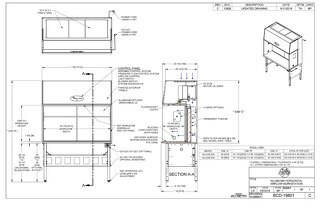 Equipment drawing for standard nominal width 4-foot (1.2-meter) console style laminar airflow workstation (LAFW) models NU-340-430 and NU-340-436 with leg levelers. 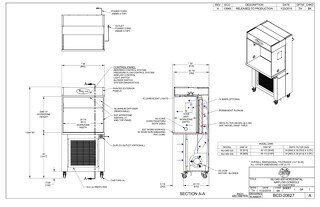 Laminar Airflow Workstation (LAFW) nominal width 3-foot (0.9-meter) models NU-340-330 and NU-340-336 with leg levelers product drawing.